There are currently 91,590 users on this website. I got lucky and picked up one of the broken die test token sets at my local Post Office outlet. It was the one sitting in the display cabinet! I don't know if anyone tracking serial numbers for these but mine is 2432/10000. Quite happy to get one! I know if anyone else is looking Colonial Acres has some for sale. Post Office outlets sometimes leave their Mint product display cases in direct sunlight. there case or shade it . What happened here? The extra dots and the rim nicks have to be related. 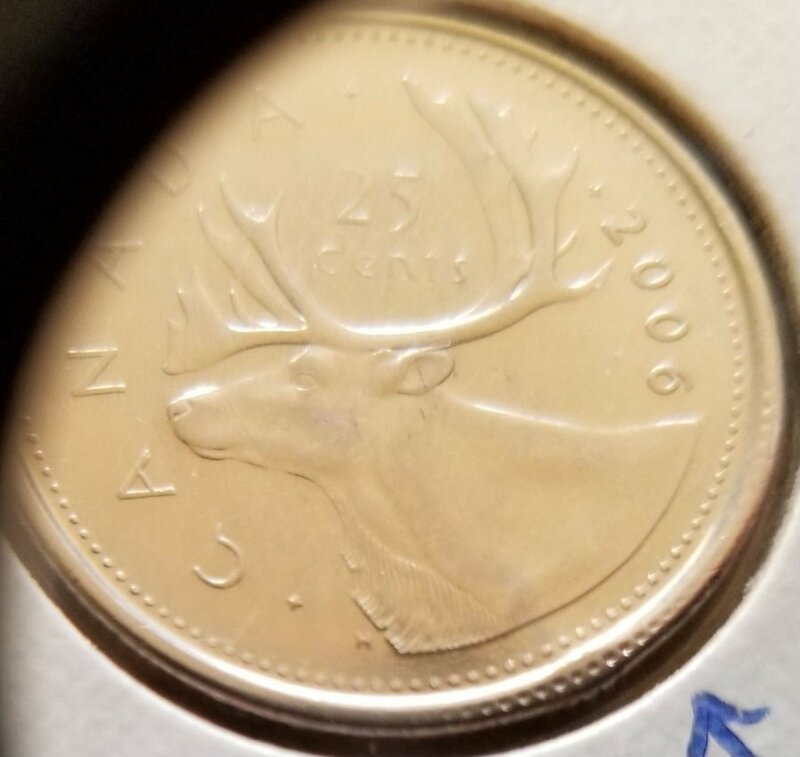 Are the dots on the rim raised or incuse? In my opinion, that means this is damage. 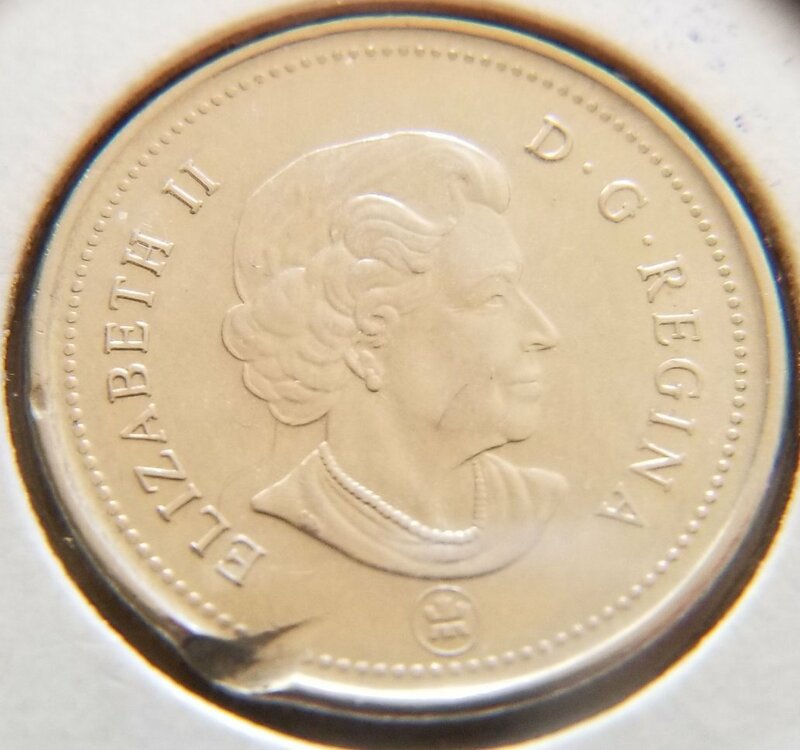 Maybe another quarter stacked on top was smashed into this and because of the misaligned strike, the rim took the impression of the dots on the other coin. 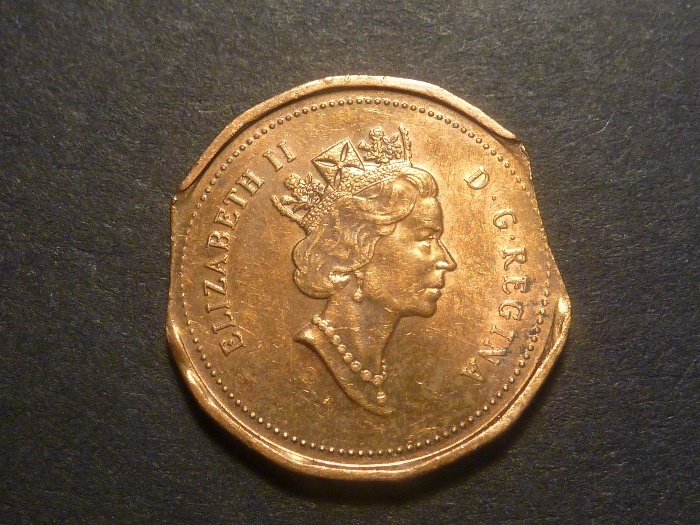 The obverse anomaly is unusual, but that doesn't mean anything. I can't imagine, within reason, how that would have happened at the Mint. 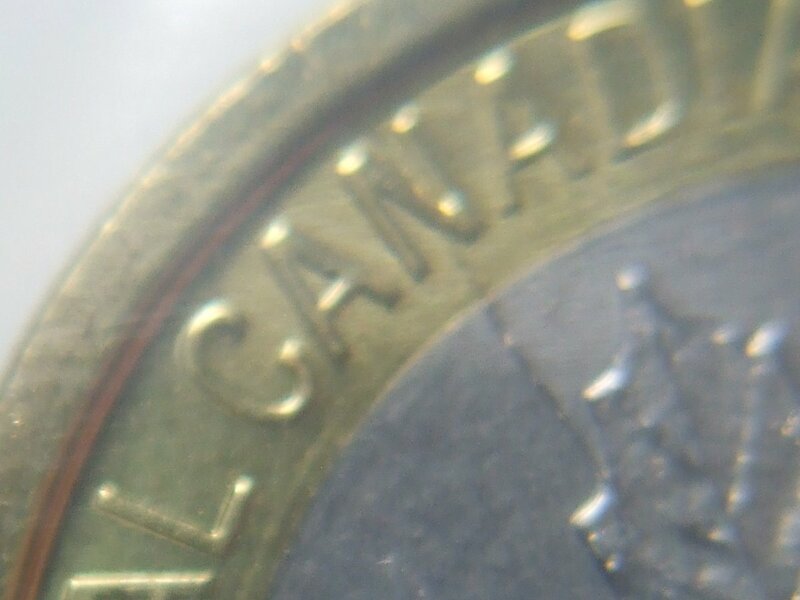 Is the coin edge bulging out or out-of-round at all where those depressions are on the obverse? 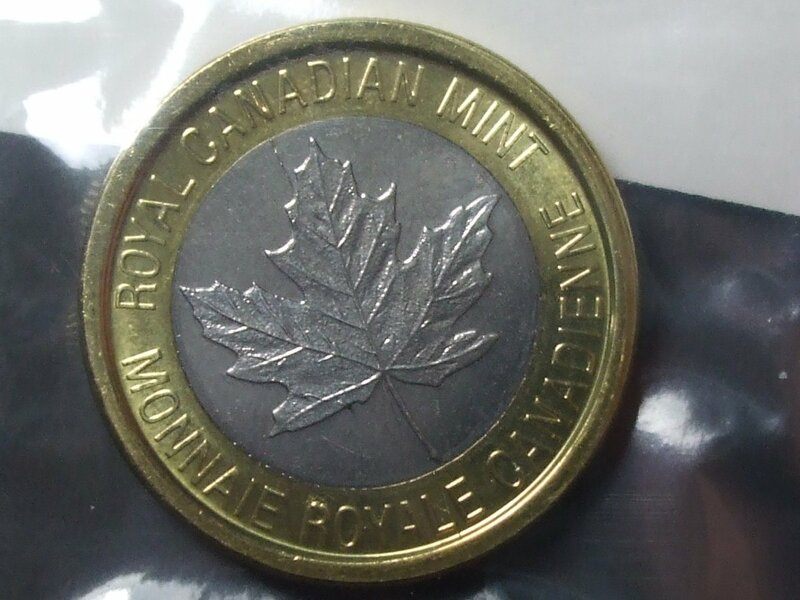 Edit: I can slightly envision something at the Mint, but it would have to, at a minimum, involve the coin you have, another coin (for the dots) and a final coin/blank or feeder finger (for the obverse impressions). Thanks for the link gidjit. The undisturbed plating says mint error, doesn't it. 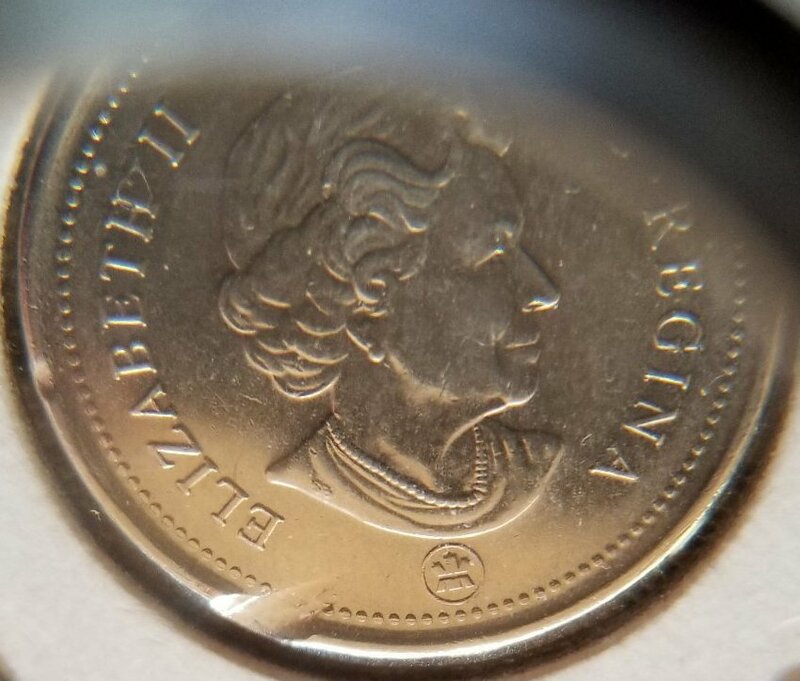 Did you note the rim at "B" in Elizabeth. Just little, but on the reverse there is some very faint dots as well. 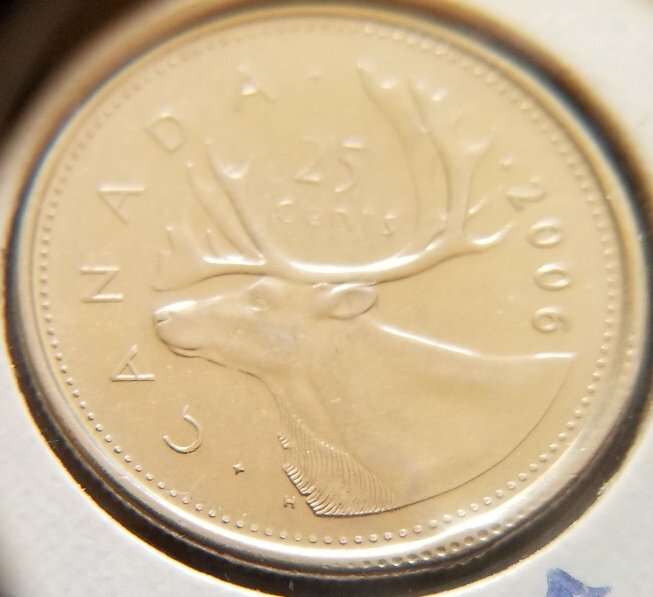 Collar/die clash on the 2006 quarter. 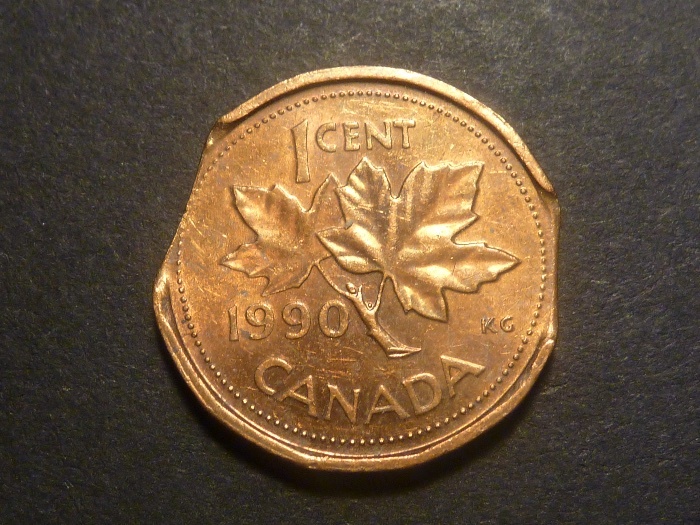 Nice double curved clips on this fairly modern cent. Surprising that this one saw a bit of circulation. Nice double curved clips on this fairly modern cent. Surprising that this one saw a bit of circulation. I can imagine it was just riding along in a car change tray for a few years. A hidden treasure.